The bill was supported by 247 MPs. 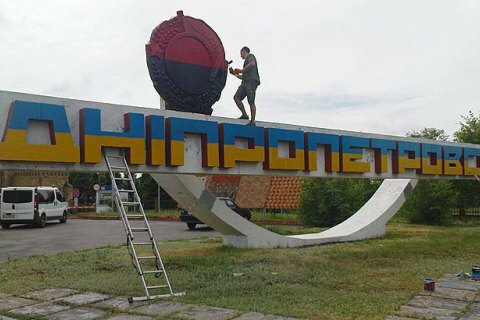 In compliance with the law on decommunization, the Ukrainian parliament on 19 May had Dnipropetrovsk renamed Dnipro. The bill sponsored by MP Andriy Denysenko was supported by 247 MPs. Previously, it was approved by the relevant parliamentary committee. The committee rejected at the same time an alternative draft bill by Oleksandr Vilkul suggesting Dnipropetrovsk should be renamed Dnipropetrovsk (not after Hryhoriy Petrovskyy, but after Apostle Peter). Yekaterynovslav was renamed Dnipropetrovsk in 1926 after the river it stands upon and the name of a Bolshevik and Soviet activist, a leader of the revolutionary movement and the chairman of the government of Soviet Ukraine, Hryhoriy Petrovskyy (1878-1958), who later became one of the initiators of the Holodomor of 1932-33, also known as the Great Famine. In Ukraine, all places named after Soviet leaders etc. have to be renamed according to the decommunization law.